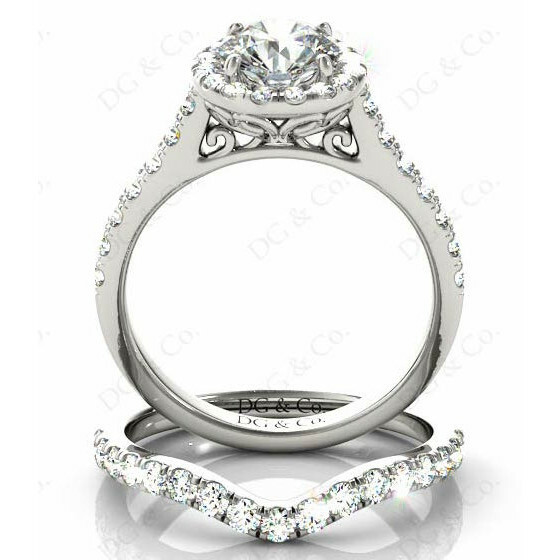 Brilliant cut halo diamond wedding set rings with four claws setting. 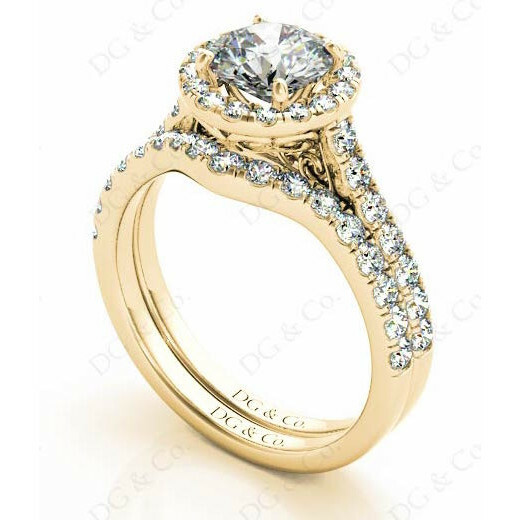 Wedding set rings with brilliant cut diamond four claws setting in the centre and forty-seven round pave setting around the centre stone and in the wedding band . 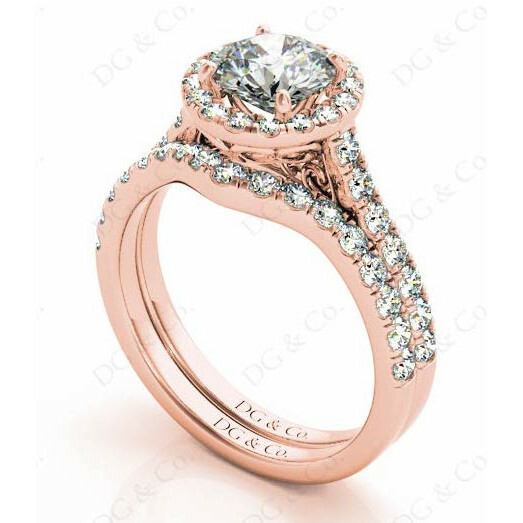 Wedding set rings with brilliant cut diamond four claws setting in the centre and forty-seven round pave setting around the centre stone and in the wedding band. 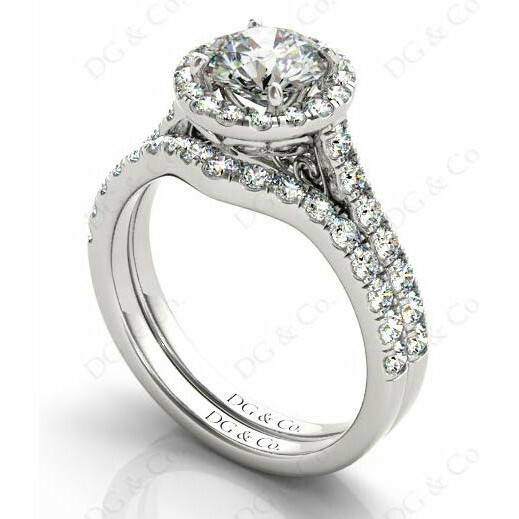 You're reviewing: Brilliant cut halo diamond wedding set rings with four claws setting.